I think this is the first steampunk novel I have ever loved. 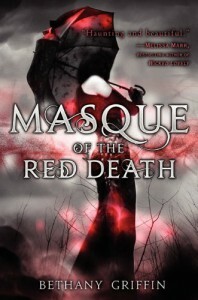 I have enjoyed The Girl in the Steel Corset very much, but I LOVED Masque of the Red Death! I knew it wasn't time to give up on the genre yet! Masque of the Red Death is dark and wonderful and it sweeps you up and drops you down 320 pages later. It's incredible and I was definitely not amused when it was time to cook dinner and I had to put it aside for a while. I absolutely adored that nothing was black and white and if I'd been Araby I would have been floundering around figuring out who to trust and what to do. And you guys, there's a love triangle and I didn't hate it! There, I said it. In my opinion it was really well done and I found myself rooting for one guy, then the other and back again... It was an emotional rollercoaster and even though it seems like she's making a choice at the end of Masque of the Red Death, I'm curious to see what will actually happen and who will hold her heart in the end. I really loved Araby, she's a complicated girl and very flawed, as are all the other characters (LOVED that) and my heart broke for her grief over her brother's death and the vow she made him. I loved Will (though he may have broken my heart just a little) and Elliott and Araby's family and Will's little brother and sister (SO CUTE) and April, Araby's best friend! 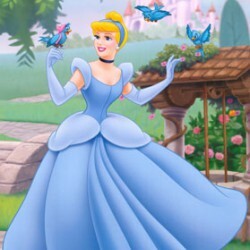 It always gives me a happy when I can love not only the main characters, but several of the others as well! I must admit that I've never read any of Edgar Allen Poe's work, but I'm curious to check it out after reading this book! I love when a book makes me want to read other books and it's not just the sequel! Also, the song 'We Are Young' by Fun ft. Janelle Monae reminds me of this novel SO MUCH it's scary. I love that song! There's some crazy going around and evil leaders and lots and lots of people dying. The last couple of chapters had me on the edge of my seat waiting to find out what would happen and how Bethany Griffin would tie this one up! I'm glad to say it didn't feel like a cliffhanger, but it did leave me wanting the next book ASAP. I loved that we already got some answers and I'm hoping the sequel will tell me everything else I want to know, cause this world is endlessly fascinating! It was fabulous and dark and twisty and I just want more! What are you all waiting for? It's out tomorrow, go plan how to get your hands on it ASAP!